Replacing a roof can be a major expense to you and your business, but it is a reality that many property-owners throughout Australia face each year. Beyond simply replacing a roof for aesthetics, there are three primary factors that commonly contribute to the need for roof replacement. 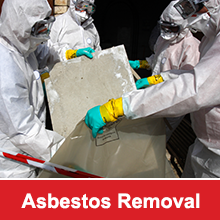 The most frequent reason for replacing a roof is because it has become damaged in some way. This can occur due to a variety of reasons. High winds are common in many areas of Sydney and even across Australia and severe winds can take a heavy toll on a roof, particularly gabled roofs and roofs that were not built to withstand high winds. In some cases, it may be possible to simply repair the damage; however, if the roof is susceptible to high winds, it is likely to become damaged in the next wind storm. You may find it more economically feasible to simply replace the roof with a type of roofing that is better able to withstand high winds. If you do opt to have the roof repaired, make sure that the repairs are completed properly or your roof might remain susceptible to leaks in the future. Many property-owners are surprised to discover their commercial roofs need to be replaced due to a lack of maintenance. Like other areas of the home, a roof must be maintained to ensure that it maintains its integrity. Some types of roofs require more maintenance than others. If you fail to routinely check your roof and repair problems when they are small, the situation can quickly escalate into the need to replace the entire roof. Such problems might include pooling water, a piece of slipped flashing, or even a shingle that has torn loose. If you are not confident in inspecting your commercial or industrial roof on your own, invest in hiring an experienced roofing contractor to check it for you. Also, keep in mind that if you wish to decrease the amount of maintenance required for your roof, a Colorbond roof is an excellent option. A Colorbond roof is also an excellent choice for protection against high winds as well as bushfires. In many instances, a roof will need to be repaired long before it should simply because it was not properly installed in the first place. A faulty installation will significantly increase the chance of problems while reducing the life expectancy of a roof system. Workmanship is absolutely crucial to the longevity of your roof. In many cases, problems may be difficult to see visually, but can certainly lead to problems in the future, including premature aging or failure of the roof system. To avoid this problem, it is imperative to ensure that the roofing contractor you hire is experienced and knowledgeable regarding proper installation techniques that are specific to the type of roof that is to be installed. Your Large Roof is Vital! 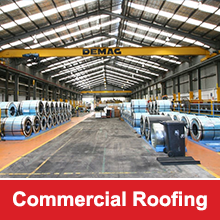 The roof of your industrial or commercial building is an important investment. Understanding how to protect the longevity of your roof can help you to preserve that investment. If you think that you might be at the stage where your commercial roof does need to be replaced and you are within Sydney or Newcastle, call or contact us at R.O. Steel for a free quote.